I'm not sure I've participated in a top two before...something new to try I guess. These are my top two favorite new finds of Christmas 2010! Um when did Toll House start making these? They are heaven in my mouth...I'd buy them up if I knew they would freeze well. 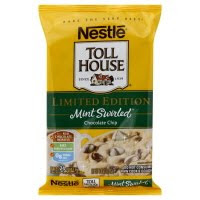 I've seen the little mint swirl chips in the baking aisle and I've used them in layer bar cookies but these are DIVINE! I have a plate full of them now as I'm typing this post. 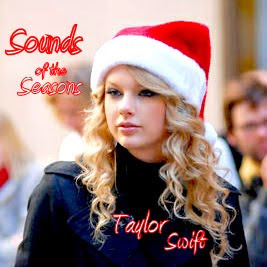 Taylor Swift Christmas music...omg L.O.V.E. I'm listening to it now and I'm addicted.